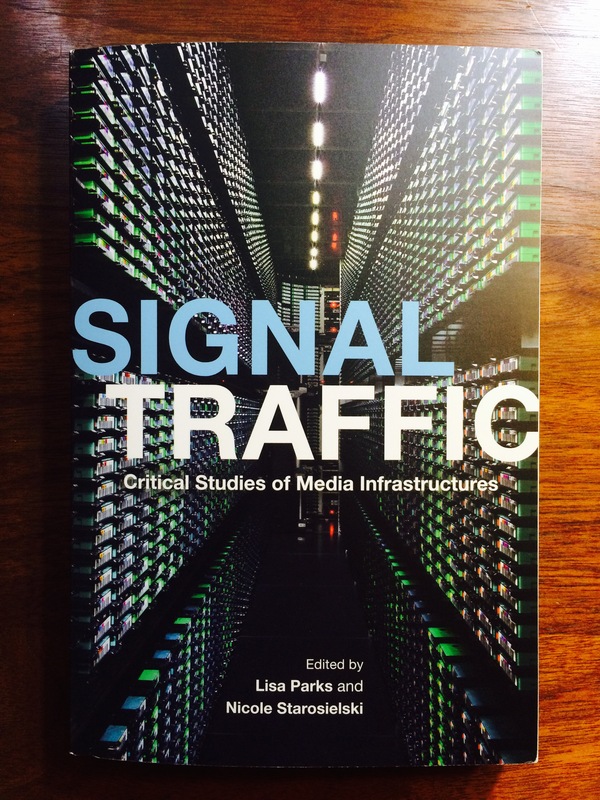 Nicole Starosielski and Lisa Parks’s Signal Traffic: Critical Studies of Media Infrastructure is out! There are chapters by Charles R. Acland, Paul Dourish, Sarah Harris, Jennifer Holt, Toby Miller, Lisa Parks, Christian Sandvig, Nicole Starosielski, Jonathan Sterne, Helga Tawil-Souri, Patrick Vonderau — and me! I wrote about the “Deep time of Media Infrastructure.” Nicole and Lisa are such fantastically competent and supportive editors, and they’ve created an invaluable collection. You should totally check it out.